Damage to the temporomandibular joint is known to cause a long list of problems and medical complications in patients with temporomandibular disorders, or TMD. Former research has linked TMD with fibromyalgia, and studies have also demonstrated that TMD patients are at risk of chronic headache, just to name a few associations. To further our understanding of pain and complications related to TMD, researchers recently analyzed the association between TMD, sleep bruxism, and primary headaches in patients with injuries in the jaw and pain in this crucial joint. Sleep bruxism, which is excessive grinding of the teeth and clenching the jaw while sleeping, as well as certain types of primary headache, were found to be mutually associated with TMD. The study included 301 TMD patients aged 18 to 76. Researchers examined each patient, classifying their TMD using the Research Diagnostic Criteria for Temporomandibular Disorders, diagnosing possible bruxism using clinical criteria from the American Academy of Sleep Medicine, and diagnosing headaches according to the International Classification of Headache Disorders-II. 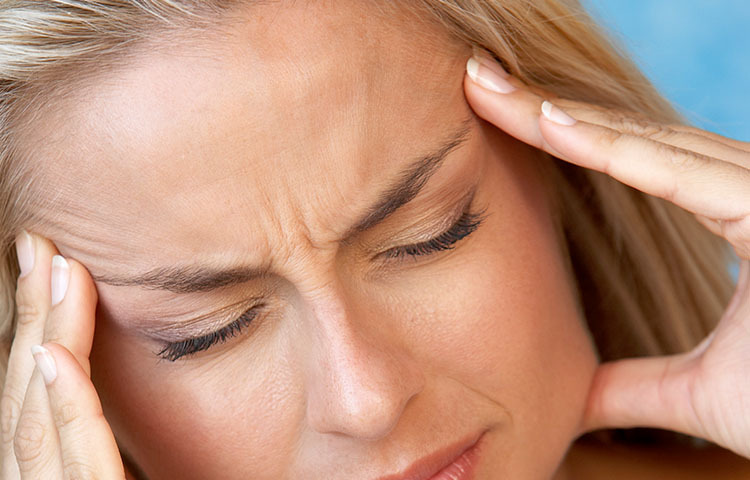 Patients with painful TMD were found to be at risk of migraine and tension-type headaches. The highest association was between TMD and chronic migraine. Participants also were diagnosed with episodic migraine and episodic tension-type headache, associated with pain in the temporomandibular joint. Researchers also discovered that sleep bruxism was prevalent in patients with both painful TMD and chronic migraine. They found that patients with both painful TMD and sleep bruxism were significantly more likely to suffer chronic migraine, episodic migraine, or episodic tension-type headaches. Jaw symptoms are common among patients with whiplash injuries. However, jaw pain often does not appear immediately after a crash. The long-term effects may not be immediately realized for victims of auto injuries who are affected not only by jaw pain, but also debilitating headache and tooth-damaging grinding. This is why research that demonstrates the connection between TMD and damage to the cervical spine is so important. Patients who sustain whiplash injuries have the potential for a whole host of health problems down the road, and this should be considered when assessing the damage caused by a collision. Fernandes G, Franco AL, et al. Temporomandibular disorders, sleep bruxism, and primary headaches are mutually associated. Journal of Orofacial Pain 2013; 27(1): 14-20. doi: 10.11607/jop.921.